Bethesda is known as a cultural hub of the DC area. With over 200 restaurants, there’s no shortage of good eats and activities to get up to in this “little sister” to DC. There’s a million things to do in Bethesda, no matter if it’s going to see a show at the Strathmore Theatre, taking a stroll down the Capital Crescent Parkway, or going out for a night of bowling at Bowlmor Lanes, downtown Bethesda is the perfect place to live. 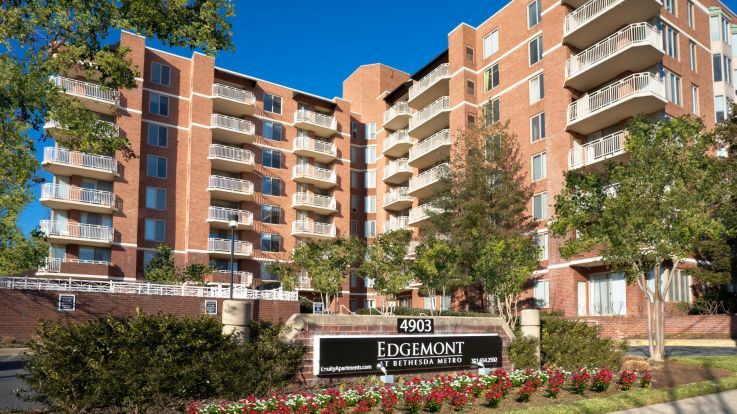 Equity is thrilled to offer downtown Bethesda apartments with some mind blowing community and room amenities, including in home washer and dryers, an outdoor swimming pool, and gorgeous private balconies. We’re sure that our downtown Bethesda have everything you’re looking for and then some, so come down and let’s get you set up in a home you’ll never forget.